﻿• Asymmetry or curvature at the tip of the nose: It is frequently seen that the same asymmetry continues to decrease after surgery in patients with acidmetry in the nasal cartilages before the nasal aesthetic surgery. However, asymmetric angulation or sagging may occur in the nasal cartilages due to differences in angles or structural differences caused by suture sutures or cartilage removal procedures to change the angle of the nasal chondrocytes during operation.• Growth at the tip of the nose: Maybe you will be surprised to read ... In these procedures to reduce or shrink, can the southern nose become bigger? 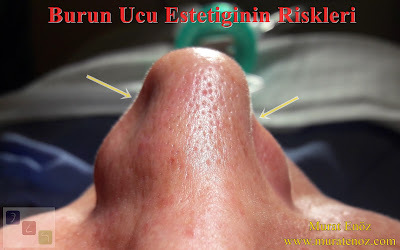 Nasal skin is thick and nasal cartilage is widespread in patients with a small amount of cartilage removal and deep surgery After removal by dissection, abnormal tissue edema due to thick skin and a larger nasal tip may occur before surgery. Patients with thick nasal skin should be informed about the appearance of edema and the rounded appearance that may occur.• Collapse in the nose wings (alar collapse): Cartilage, which is responsible for the nasal form of the alar cartilage and is located on each bilateral nares. The outer legs of the alar cartilages overflow the skin of the nose wings and determine the shape of the nose wing as it collapses during breathing. After the extreme dilation of the nasal wing cartilages for the purpose of nasal constriction, collapse on the nose wings and collapse on the nose wings when breathing can be seen. In patients with thick nasal skin, nostril cartilages carrying this skin should not be over-attenuated (diluted). Detailed link prepared beforehand on the subject >> Alar Kollaps Nedir? Revision nose tip aesthetic surgeries can be done with open and closed technique as primer nose job surgeries. 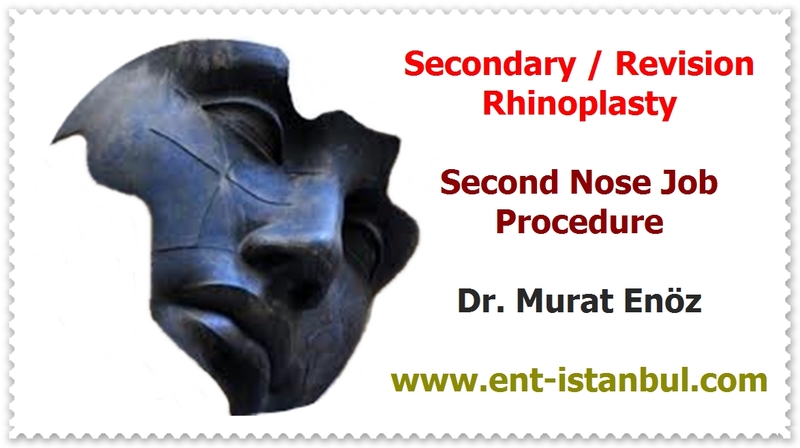 I prefer to make revision nasal aesthetic surgeries with open technique for perfect access to anatomical details. 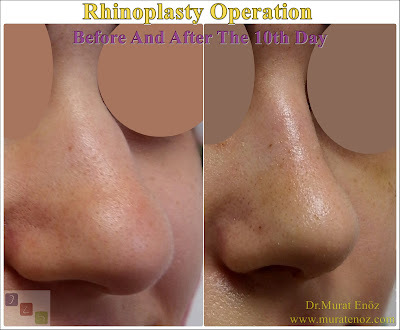 Revision nose tip surgeries are special operations for the person, such as opening the surprise box, where the problem can be understood during the operation. If there is not enough cartilage in the nose for the solution of the problem such as nasal asymmetry, wing collapse, nose drop during the procedure, auricular cartilage or rib cartilage may be required.